Clarksdale, Missouri…….Joseph Earl Conrad, age 94, was born January 9, 1924 in Skidmore, MO the son of Joseph Earl, Sr and Iona (Collins) Conrad and passed away July 31, 2018 at his home in Clarksdale. Joe served in the United States Navy during WW II from 1942 to 1946. On November 26, 1945, Joe and Wyona Viola Esaias were united in marriage in Shenandoah, Iowa. To this union four children were born. 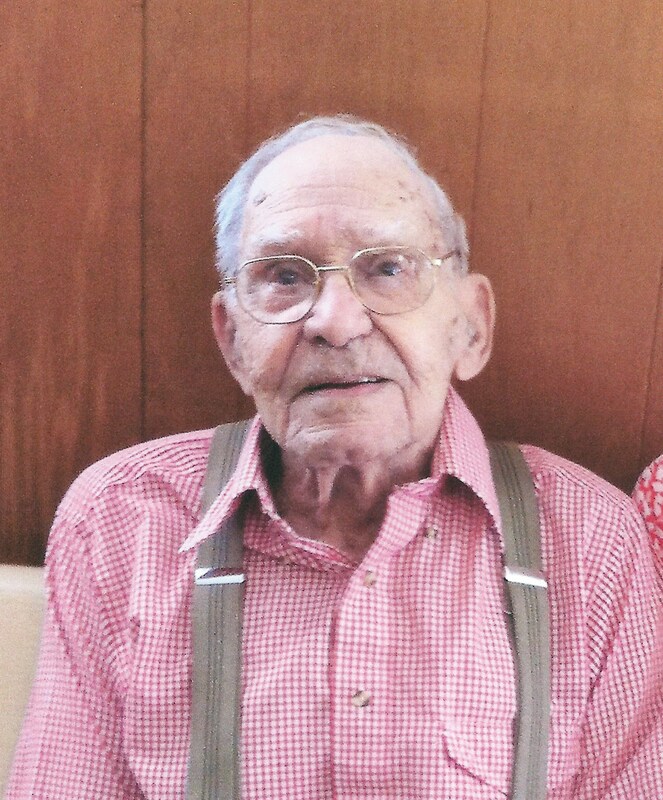 He was a member of Clarksdale United Methodist Church, Clarksdale Lions Club, and American Legion of St. Joseph. Joe was a Past Patron of the Order of Eastern Star and a Member of Masonic Lodge in Stewartsville. Joe is preceded in death by his parents; infant son, Charles Earl Conrad; Son, Ronnie Joe Conrad; four brothers, Robert Lee Conrad, Raymond Francis Conrad, Douglas Leroy Conrad and Rudolph Collins. Survivors include his loving wife of 72 years, Wyona Conrad, of the home; two daughters, Cynthia Kay (Danny) Powers and Renee Darlene (Jeff) Brockway; daughter-in-law, Cindy Conrad; seven grandchildren; and nine great-grandchildren. So sorry to hear of Joe passing. Ermit has fond memories of good times. We will keep you all in our prayers . So very sorry to hear about your family’s loss. Prayers of comfort for you.